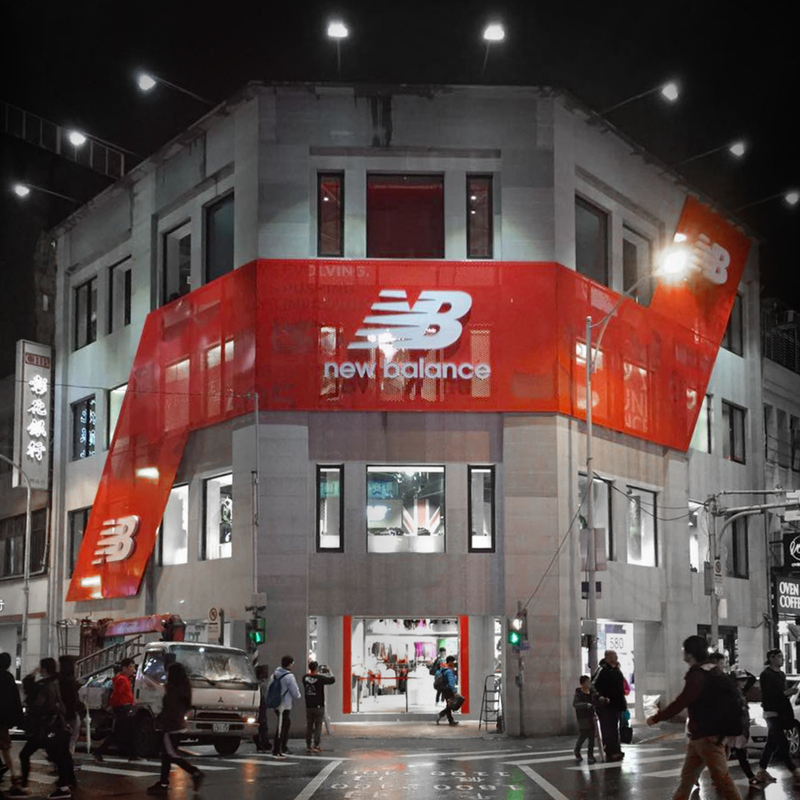 Three Dogs was initially approached by New Balance to handle the retail design of its Taipei flagship store. Three Dogs reviewed New Balance’s retail design standards and documentation and produced a design and documentation pack for this store that significantly improved the quality of the outcome by tightening up and clarifying details, connections, and functionality. The process was continued in a design for a Flagship store in Malaysia. Three Dogs also worked closely with the New Balance team on a multi-brand footwear concept and guideline and the Flagship portion of its Global retail guideline.